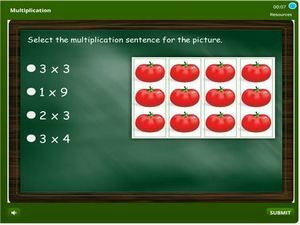 1st grade math quiz on multiplication involving the following activities: Practice the notion of multiplication with the aid of pictures, like basic facts up to ten e.g. 2 x 3 = and so on. Multiplication simply means placing a number the number of times indicated. The sum of all the groups of the number is referred to as the product. 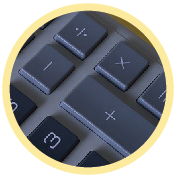 As you take this quiz, the scores are tracked and students earn badges and certificates at the end of each grade. There is no limit to the number of times a quiz can be taken; keep practicing until you are 100% apt.